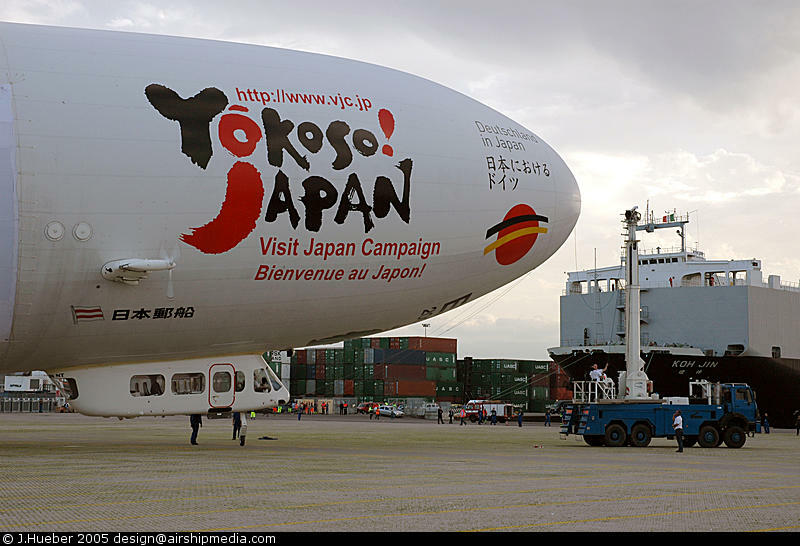 After the ferry flight to Japan had to be cancelled due to delays in getting overflight permission over Russia a new method had to be found to transport the Zeppelin NT to Japan in time for the world exposition beginning in March. 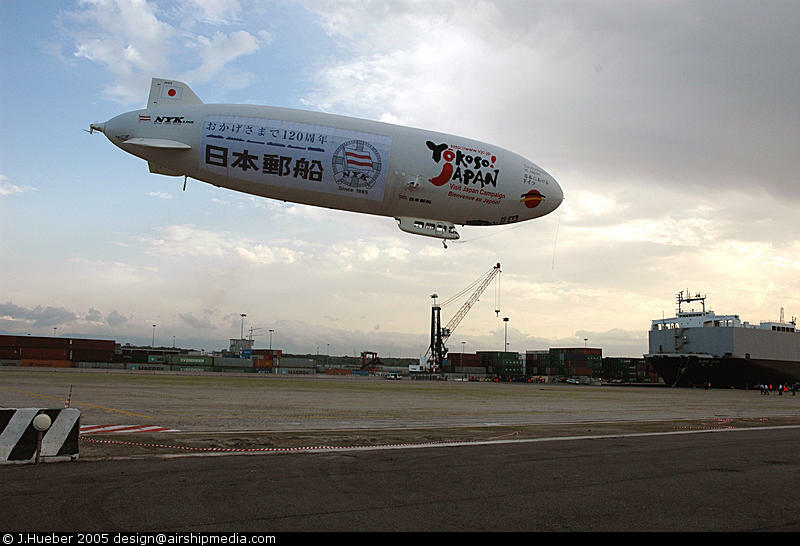 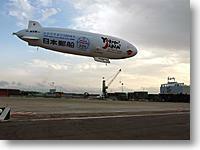 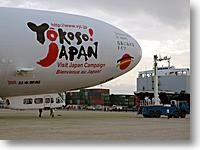 After some research the dutch company Dockwise was selected to transport the airship by ship to Japan. 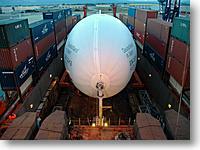 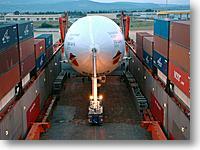 This company offers specialized transport ships for all kind of bulky goods. 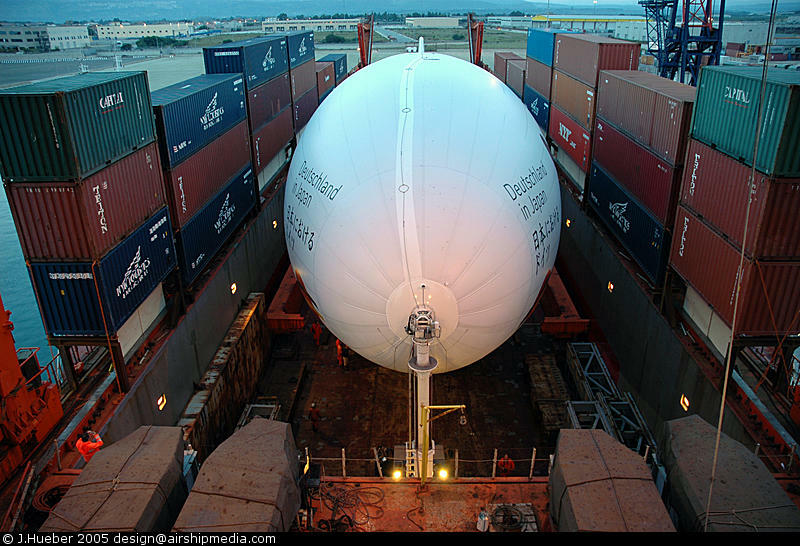 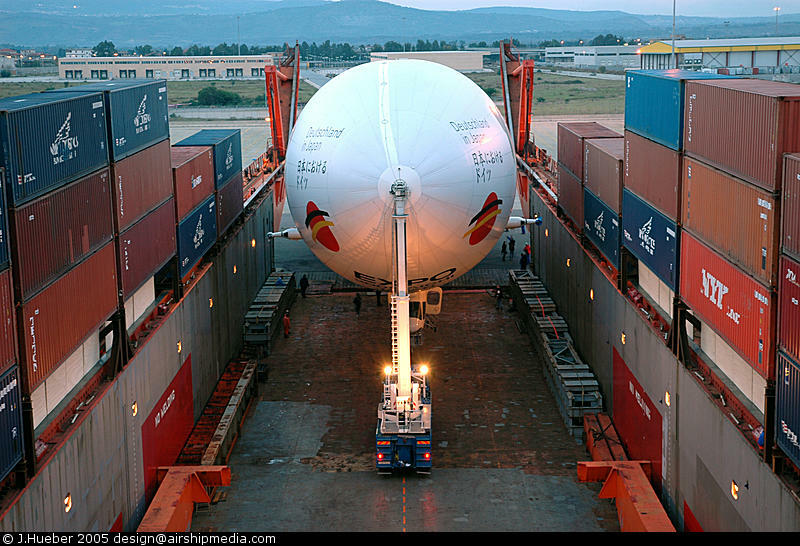 During November and December 2004 the Zeppelin was flown to the south Italian harbor Gioia Tauro where it was loaded on the ship togehter with several containers as wind and weather protection. 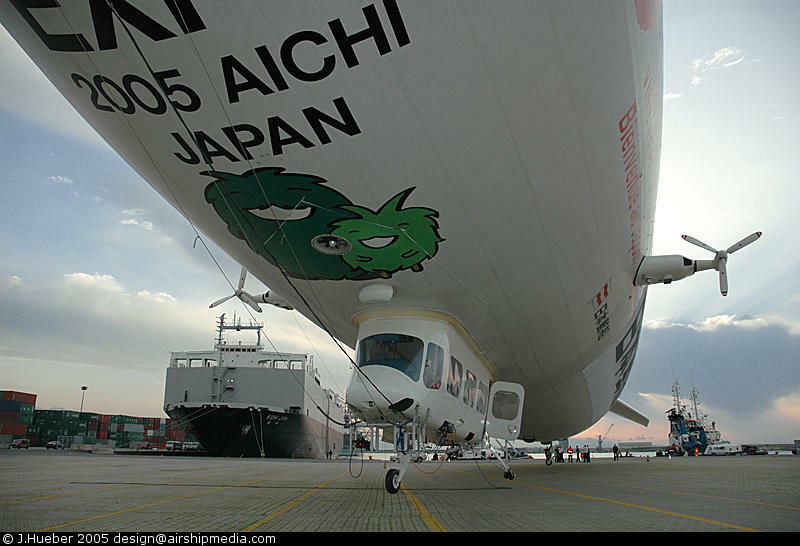 The following photographs were taken by Joseph Hueber from Airborne Grafix - the company that is doing all the artwork on the Zeppelin NTs. 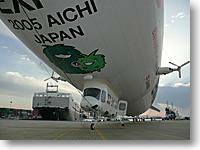 Thanks a lot for providing the photographs!